Rasam refers to the sour, spicy and tangy clear/thin soup from Kerala, India using basic ingredients, among which is the Tamarind (Tamarind Paste) which gives Rasam its sour taste. 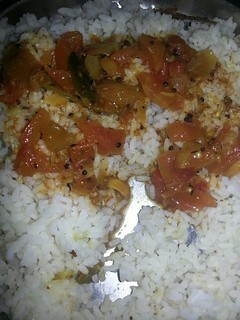 Tomatoes and Lemon are also used to make Rasam taste sour. Other ingredients and spices used for making Rasam are onions, ginger, garlic, turmeric powder, mustard seeds, pepper, red chilies and a bit of Jaggery. Other versions make use of Cumin, Coriander and of course the Curry Leaves which seems to be a must in all the dishes from Kerala. 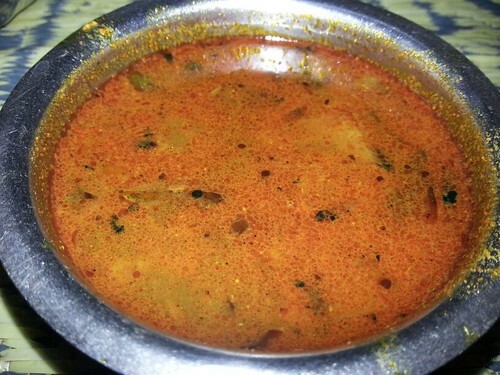 Rasam is a popular dish not only in Kerala, but in other states of South India. It is often poured over rice and combined well and eaten also as a side dish together with Meen (Fish) Curry. It can also be served as a soup. Rasam is also used as a digestive drink and is one of the many dishes serve as part of Sadya. 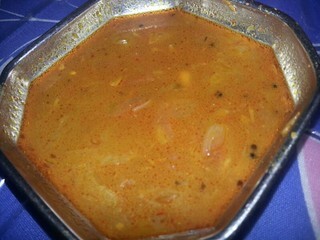 Below is a picture of the traditional Rasam. Other varieties are coming out now using other ingredients.